"Life and time are world's two teachers. Life teaches us to make good use of time, while time teaches us the value of life." 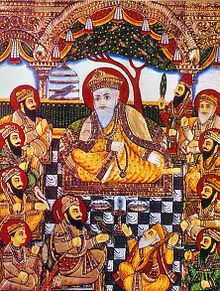 One afternoon Guru Nanak and his followers were resting on the banks of the Ganges at Patna. Mardana was idly inspecting a stone he had picked up along the road, thinking of the vast throngs who had come to hear the Guru. "Master," said Mardana, "you teach a way for every person to find liberation. But many of those who listen still seem to spend much of their time in conflict, and in seeking out excitement and other idle pursuits. Why do they waste away their lives so?" "Surely everyone can see the value of life," said Mardana. Mardana tried several more shops with no better response. Finally he came to the shop of Salis Raj, the jeweler. Salis Raj's eyes opened wide when he saw the stone. "I'm sorry," he said, "I don't have enough money to buy your gem. But I will give you a hundred rupees if you will let me look at it a while longer." P.S:There are some material gifts that we cherish all our lives because it was given by a loved one. "Life is a gift from Almighty God....that's hardly a small thing" says Dr. David R Hawkins and he is absolutely right.
" Have I truly valued my life as God's gift to me ???????????????? Maybe not to the extent I needed to. So what can I do...... starting now.....to make amends???? ?